Although everyone travels a different path through IU, our students have one thing in common: They describe their time here as one of transformation. No matter how well you know yourself or how concrete your goals are, while you’re at IU, you’ll find new causes, activities, and fields to be passionate about. It’s up to you to discover them. As a student at IU, you can choose from thousands of classes each semester. And while you need to make sure you’re satisfying educational requirements to stay on track for graduation, there are endless ways you can do it. Take a class on game design. Learn to speak Finnish, Persian, or Japanese. Explore the birth and death of the universe. Dive into the art of comics. It’s all here waiting for you. This is your chance to take risks in every facet of your life, whether you’re deciding where to live or how to spend your Saturday nights. While you’re a student here, you have carte blanche to jump in and try as many new things as you want. It doesn’t matter whether the leap you take leads to success or failure. Either way, you’ll learn something valuable about yourself and take another step on your journey toward transformation. 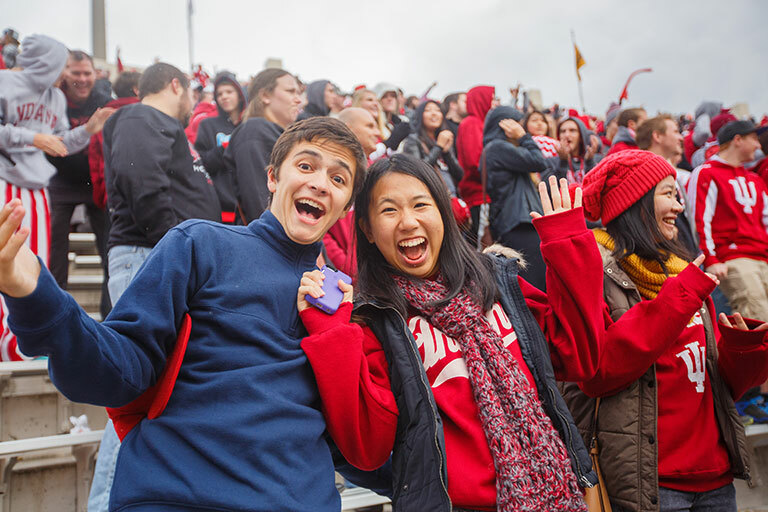 Apply to live in one of IU’s 23 academic, thematic, and living-learning centers. While some are exclusively for freshman students, many are open to students at every level. Each community has a unique focus on subjects ranging from general academic scholarship and leadership to outdoor adventures and even sexual identity. Join a comedy improv troupe. Give gymnastics a try. Campaign for human rights. With more than 750 student organizations to choose from, it’s easy to find something new to explore. Want to get your body moving? Check out the fitness activities at the SRSC or join an intramural sports club. We’ll bet you run out of time at IU before you run out of new things to try.